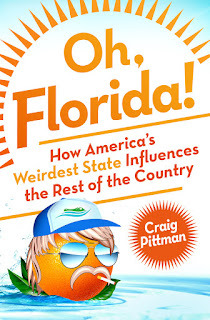 Craig Pittman is the author of the new book Oh, Florida! : How America's Weirdest State Influences the Rest of the Country. 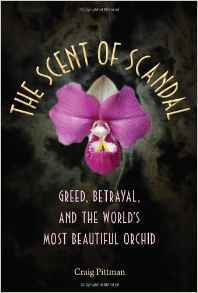 His other books include Manatee Insanity and The Scent of Scandal. 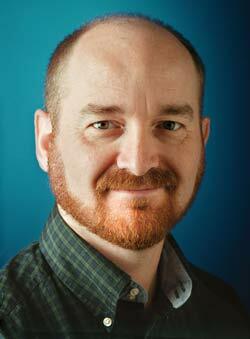 He is a reporter and columnist for the Tampa Bay Times, and he lives in St. Petersburg, Florida. Q: How did you come up with the idea for your Oh, Florida! blog and then for this book? A: I used to help compile an annual list of wacky Florida stories for my newspaper, then called the St. Petersburg Times, now the Tampa Bay Times. When that was discontinued, Twitter was just starting, so I would tweet these crazy stories I saw every day, and tag them as "Oh, #Florida!" stories. One of my Twitter followers was Laura Helmuth, an editor at Slate who loved the "Oh, #Florida!" stories. In 2013, during the George Zimmerman trial, she commissioned me to do a one-month blog trying to explain Florida to the outside world. That blog became the basis for my book. Q: What are some of your favorite weird things about Florida? 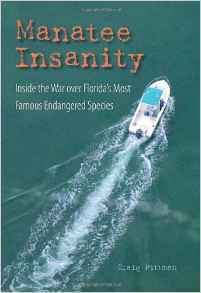 A: I love the fact that the state park system bought an old roadside attraction called Weeki Wachee Springs, and as a result Florida is now the only state where the list of government jobs includes "mermaid." I love that we regularly see alligators that accidentally thwart would-be criminals. I love that we are the Sinkhole Capital of America, the Lightning Capital of the Western Hemisphere and the Shark Attack Capital of the World -- but we tell everyone it's paradise and they should move down here right away! Q: What impact do you think Florida has on the rest of the country, and why do you think it has more than some other states? A: Florida men and women have done things that have changed lives all over the U.S. but most people don't realize that Florida was involved. They just think we're the Punchline State, but we're far MORE than that. For instance, Jeff Bezos, the founder of Amazon, started his first business here. The Rev. Billy Graham got the call to preach on an abandoned golf course in Florida. A case involving a couple of crooked Florida cops led to the U.S. Supreme Court decision allowing TV cameras in the courtroom. A guy named John Atanasoff, who grew up in Florida, invented the computer -- so the next time you're watching cat videos, you can thank Florida for that. 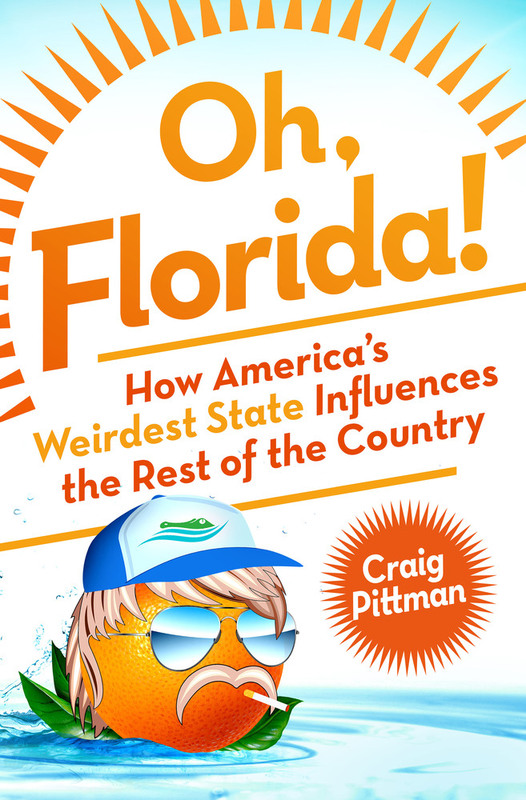 Q: Why do you think Florida ended up being, as the book's subtitle says, "America's Weirdest State"? A: I go through the reasons in some detail in my book, but the basic one boil down to people, geography and weather. We were the least populous Southern state before World War II, and now we're the third most populous state in the U.S., a wrenching demographic change. We've got 20 million people living here, and about 100 million tourists visiting every year, and because there's no snow we're out doing crazy stuff all year long. Most of those people are crammed into about a 20 or 30-mile wide swath of land along the coast or along Interstate 4 where the theme parks are, so of course when you put that many people from that many different places together in that small a space, they're going to start ramming into each other's cars, chasing each other with machetes and arguing over whose dog pooped on whose lawn. A: I'm working on a couple of book ideas. I don't want to talk about them just yet, but I will say that one of them is very serious, but with wacky touches. The other one is just plain wacky. A. In one of the oddest bits of book promotion ever, my book was the answer to the New York Times double-acrostic puzzle on Oct. 30. I couldn't solve it, though. The Jumble is more my speed. Someone else had to show me the answer.